Been loving painting the holey rocks of Ile de Ré these past few weeks – and as much as I like them as they are, my friend Lucy suggested framing them and I jumped at the idea. This is a fabulous. 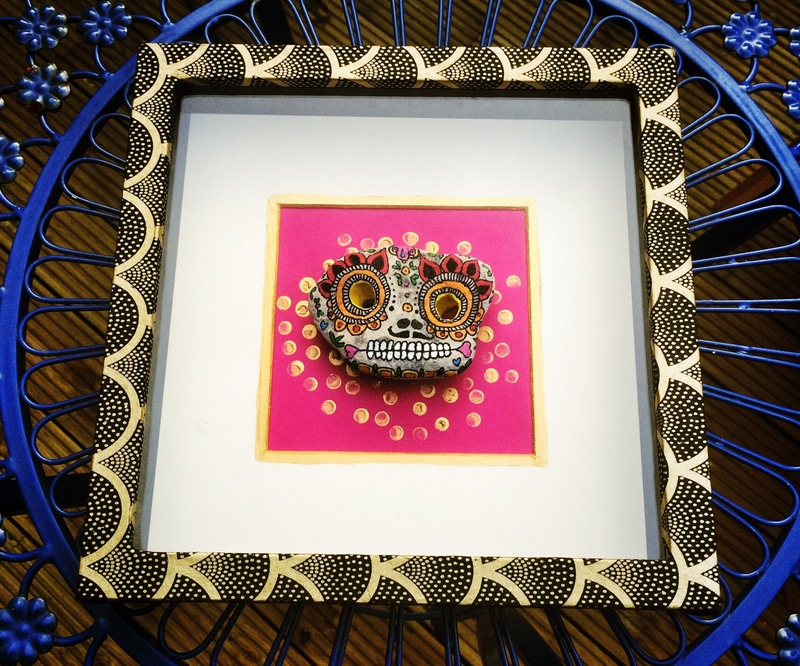 You can go even further by inserting them into little vignettes constructed in shadow boxes, all Frida Kahlo-like. Even better: make the shadow boxes and rock people interchangeable so folks can put whichever ones they want into each setting and switch them out seasonally or just on a whim.